Create brilliant prints that can be mounting in a variety of locations with this 17" x 100' roll of Adhesive Luster Paper from Inkpress Media. 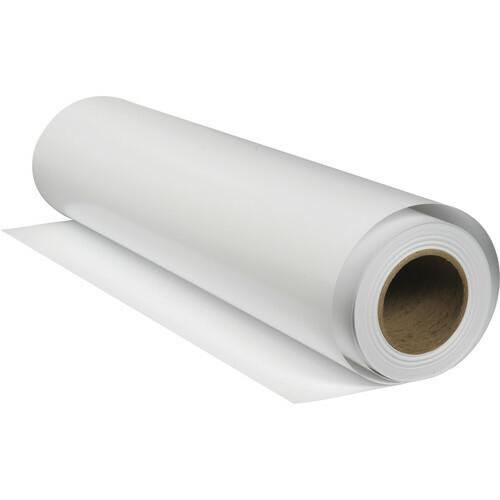 The paper offers a bright white polyethylene-coated paper substrate with an adhesive backing covered by a silicone release liner, this is what allows you to easily place the print on a surface. The paper also has a basis weight of 240 gsm and a thickness of 9.5 mil, when including the adhesive. Additionally, it is fast drying, has a good brightness of 95%, and has a pearl surface finish. Box Dimensions (LxWxH) 20.5 x 6.3 x 5.9"